Space is limited for Summer Classes! 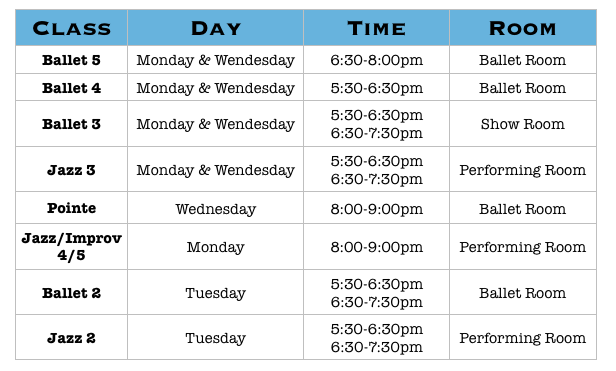 Punch Cards: For dancers taking weekly classes. Punch Cards will be punched for each hour or hour & a half class a dancer takes. No refunds for punches not used.